Jose P. Rizal. Andres Bonifacio. Manuel L. Quezon. Oscar M. Lopez. Jaime Zobel de Ayala. Fiorello Estuar. Fe Hidalgo. Joseph R. Mcmicking. 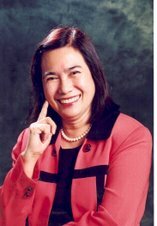 Corazon C. Aquino. Avelina Salvador. Ninoy Aquino. Rolando Hortaleza. Manuel Pangilinan. Lino Brocka. Steven Spielberg. John Gocongwei. Antonio Cojuangco. Claro M. Recto. Mother Theresa. Pope John Paul 2. Jack Welch. Steve Jobs. Bill Gates. Mario Nery. Edilberto B. Tato. Benita Fernandez-Ramos. Manuel Sy Peng. Haydee Yorac. William J. Clinton. These names are synonymous with successful and charismatic leadership. These names are brands by themselves: considerable role models, held in awe and respect, signifying strength of character, inspiring nobility in others and evoking high achievement and creativity. They, at once, stir up intellectual discourse, a bias for action, a passion for excellence and a strategic outlook. They develop and cultivate other leaders using competences such as visionary, people-oriented, superb decision making, communication, idea supporting, being focused and having initiative. Likewise, they all possess a set of knowledge, skills, values and attitudes that center on personal effectiveness and self-management. They reflect a certain aura of energy and self-awareness that magnetizes others. Self-confidence. Strong leaders believe in themselves and their capabilities, even when things aren’t going well. It’s easy to be self-assured when things are going right but much more difficult to transcend adversity and maintain certainty when things aren’t going too well. Resilient. This is the competence that allows people to bounce back after set-backs and move forward with unshaken confidence. Although leaders need this to survive during turbulence, it also sends an important message to the rest of their people. Initiative. Leaders need to take the first step, which is often uncharted territory. The drive and ambition that underlies initiative is one of the things that separates leaders from others. Self-responsible. Leaders admit when they have blown it and take the heat themselves. This doesn’t mean they become sacrificial lambs for every mistake. Rather, they admit mistakes, learn from them, and move on. Ability to overcome adversity. Many obstacles bar the path of a leader. The ability to surmount these hurdles and impediments is an important element of self-leadership. Respectfulness. Strong leaders show respect to themselves and to others. They understand the importance of maintaining dignity and honoring the uniqueness of others. Trustworthiness. Trustworthy leaders inspire trust in others. They do what they mean and mean what they say. They hold this attribute as a high personal value. Humility and humanity. Humble and humane leaders remain in touch with reality and are always grounded. They know, understand and accept themselves. They recognize their weaknesses and limitations while they use their strengths and opportunities to the fullest. Aldisert wrote that the competences just described provide a framework for understanding leadership capital. “Obviously, some organizations and industries may require other competences, but these characteristics are central to effective leadership capital. Given the brutal time constrains under which leaders operate; those who master these traits will be better positioned to survive and thrive when issues become more complex. By developing these traits, they enhance their own human asset value as well as their leadership capital. Leaders who strive to achieve their potential raise the overall value of human capital in the firm. They concentrate on the big picture and on developing other leaders instead of burying themselves in details and the work at hand. As Tom Peters points out, leaders are rarely the best performers; they are better at getting the most out of others, not doing it themselves. Moje, president of Paradigms and Paradoxes Corp, can be reached at moje@mydestiny.net.